Gambling lobby, Responsible Wagering Australia or RWA has been in operation less than one week and is already making news headlines. 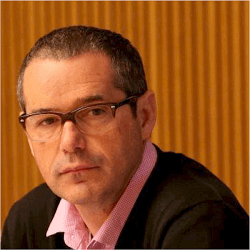 The newly formed gambling lobby has been publically slammed after appointing ex Labour MP Stephen Conroy as executive director. The RWA was formed just a week ago following the collapse of the Australian Wagering Council or AWC earlier in the year. The Wagering Council was completely disbanded following the withdrawal of Ladbrokes in early 2016. The new Responsible Wagering Australia gambling body rose from the ashes of the AWC with major support from several local sports betting firms. While the appointment of Stephen Conroy as executive director of RWA is not illegal, many people feel the move is completely misguided as Conroy was responsible for many online gambling regulations in a previous post. To add to this, former senator Richard Colbeck has been appointed chairman of the RWA, leading to even more questions. Speaking to the press, Conroy explained that he was looking forward to working closely with the Australian Government on their consumer protection agenda. The formation of the new sportsbook lobby group is thought to have been expedited due to a crackdown on offshore betting sites. 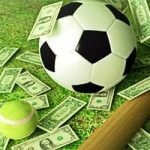 In-play betting in Australia has almost completely been stamped out along with any form of credit for online gamblers. To add to this, South Australia will introduce point of consumption tax in early 2017. The new levy is designed to hit online betting firms who provide gaming to South Australian punters. Meanwhile, local sportsbooks are hoping for a more favourable deal, already having to adhere to the new self-imposed code of conduct. This includes improved measures to help problem gamblers as well as showing on going support for government’s initiative to cut back on sports betting advertising. The appointment of Stephen Conroy as executive director of the RWA has also been met with harsh criticism form anti-gambling politician senator Nick Xenophon. Speaking to the press, Xenophon said he wanted to put a stop on former MP’s taking up positions on gambling lobby groups. The senator went on to explain that the industry has already seen a huge expansion in the online gambling sector with a marked increase in problem gambling. He believes the appointment of former MP’s will not help the issue. 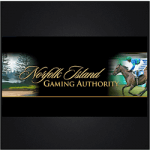 Norfolk Island Online Licence Authority Temporarily Shut Down Many Australian online gambling and betting sites are looking for new licencing after the government shut down the Norfolk Island Licence Authority …. 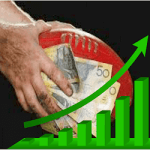 Australian Sports Betting Events Still to Look Forward to in 2016 The second half of the year is well under way, and there have already been some great sporting events …. New Sports Spread Betting Offers Something Different The introduction of a high-risk sports betting market in Australia is raising concerns with many people fearing for local problem gamblers, but its …. 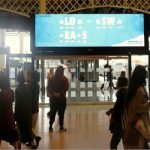 Victoria Cracks Down on Gambling Advertisements The growing number of gambling related public advertisements in Victoria could soon be coming to an end. In a momentous decision, the Victorian State …. Australian Betting Sites Reach New Highs A recent report released by Australian Gambling Statistics revealed that the Australian gambling and betting industry pulled in over $23 billion in revenue during ….